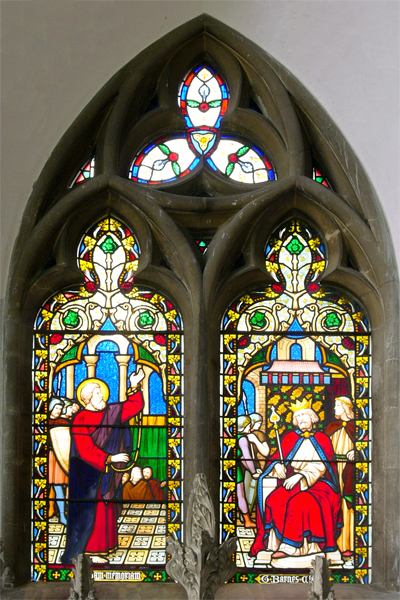 The East Window is Victorian but well in keeping with the Decorated style all around it. The niches on either side would probably been occupied by statues of St John and St Mary. 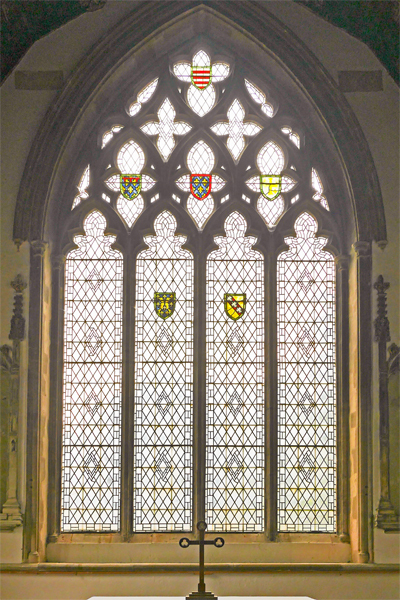 The arms in the window represent the six Royal ancestors of Margaret d'Anjou, co-founder of Queens' College, Cambridge. The College has chosen Rectors here since 1742, originally so that their Fellows could move to parochial appointments if they got married.